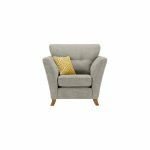 The striking Grosvenor Traditional armchair in Silver with Yellow Scatters is designed to give your living room an extra touch of class. 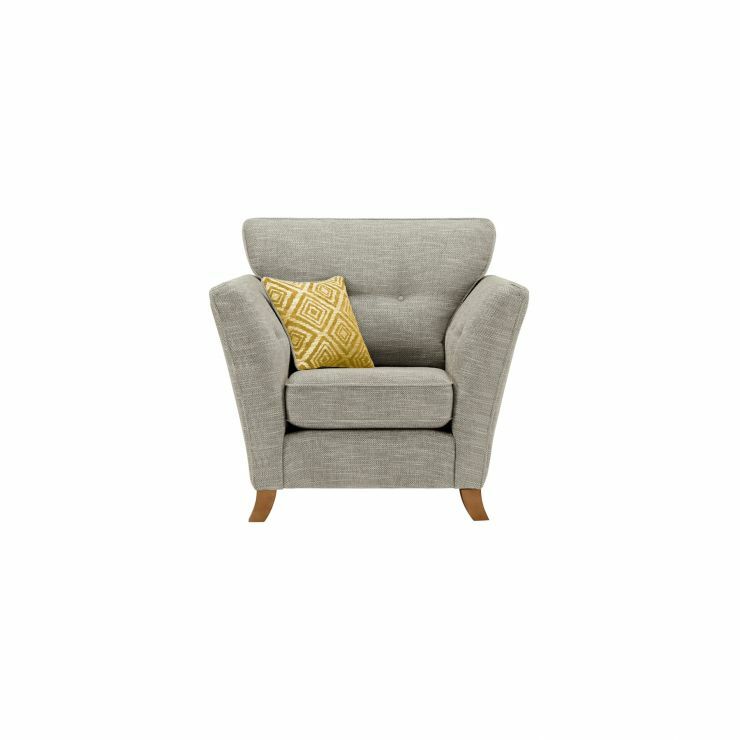 Gently flared arms create a modern shape, while also providing extra room to sit back and unwind, making it a perfect addition to any living room, office, or bedroom. Built using our unique construction methods, solid hardwood is incorporated into the frame, ensuring it will retain its shape and good looks for years to come. With its sumptuous foam seat cushions and complementary scatter cushion, this versatile piece looks fantastic in both modern and traditional homes. Beautiful, solid oak feet complete this stunning armchair, which is sure to be a favourite spot in your home! Browse the entire Grosvenor Traditional range and discover matching furniture to finish your living room in style!